Joyce Stedfast Taylor, 86 of LaConner, passed away Monday July 27, 2015 at Island Hospital with her loving husband, Ted at her side. She was born in Winthrop, Massachusetts to Albert M. and Marion T. (Tabor) Stedfast. 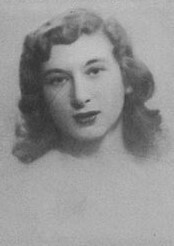 Joyce grew up in the Boston area, attended Northampton School for Girls and then went on to Mt Holyoke College, graduating in 1951 with a B.A. in Economics. A desire for new horizons took her to Southern California, where she worked for Douglas Aircraft and the Rand Corporation. Paul Bechard, CDR, USN, C.F.P., joined his beloved, Polly in heaven, July 11, 2015. Born September 8, 1926 in Holyoke, Ma. to Joseph and Zelda Bechard, and survived by his three daughters; Paula (David) Hirst, Pamela (Cole) Hanner and Marie-Anne (Ted) Layne, grandchildren Avery (Joel) Solomon, Adam (Dorothy) Willis, Townshend Hirst, Phillip (Rebecca) Hanner, Ginnie (Greg) Stawicki, Whitney (Nate) Heatwole, Paul and Renee Layne, 7 great grandchildren and many family members and friends. After graduating from Williston Academy (44), Ma. Maritime Academy (47), he served as a Merchant Service Officer for a year before being called to active duty in 1949 on USS Midway until 1951. He met his wife Polly in Norfolk and married her in 1951. She predeceased him two years ago after 62 years of marriage. Paul lived in Plymouth, Ma., after his marriage, completing his MS from Babson (53) and running the family insurance agency. While living in Norfolk (1954 to 1969) he ran Brown, Bechard Insurance agency, was active in Kiwanis, and had an unsuccessful run for House of Delegates. The family moved to Birdneck Point in 1969 where 40 years of making wonderful memories and having fun were spent. His career included serving on many financial boards as well as starting a Mutual Fund Company, owning an insurance agency, serving in the Navy reserves as an intelligence officer. He was a scrabble and chess aficionado and very difficult to beat, a wonderful husband, father, grandpa, uncle and friend. He leaves a legacy of life lessons. Paul was lovingly cared for by Hazel, Maribel, and Mila during his extended illness. Charles Francis Ryan, of Framingham, 100, died peacefully surrounded by his family on Friday, August 7, 2015. He was the born in the family residence on December 10, 1914 in Williamstown the son of the late Anne (Fleming) Ryan and Francis A. Ryan. 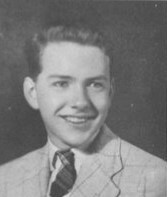 He graduated from Williamstown High School and Williston Academy in 1935 and from Bentley College in 1937. He served his country proudly as a Technician | 4th Grade with the United States Army during World War II in the European Theater of Operation from Dec. 1942 to Jan. 1946. 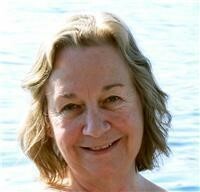 Donna Clark Godfrey, 71, of Yarmouth and formerly of Raymond,MA passed away on May 3, 2015, at Gosnell Memorial Hospice House in Scarborough, from a nine-week battle with cancer. Donna was the mother of two loving children, Donald and Deborah Perkins, both of Maine. Born in New York state on April 21, 1944, Donna was the daughter of the late Donald Clark Godfrey and Ellen Pegues Godfrey. Donna never knew her biological father who died on a training flight as a navigator-bombardier in the U.S. Army Air Corps. The 22-year-old airman left behind a newly-pregnant wife. He and Donna’s mother were married only five months.